The 2019 Guinness Six Nations tournament kicks off under the lights of Paris on Friday night as Wales look to prey on French frailties and lack of confidence. Hawkeye Sidekick looks at the team selections. 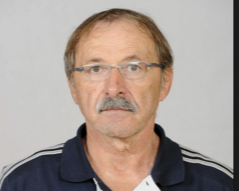 France: Maxime Medard; Damian Penaud, Wesley Fofana, Romain Ntamack, Yoann Huget; Camille Lopez, Morgan Parra; Jefferson Poirot, Guilhem Guirado, Uini Atonio; Sebastien Vahaamahina, Paul Willemse; Wenceslas Lauret, Arthur Iturria, Louis Picamoles. Mathieu Bastareaud is omitted from the match day squad entirely. Paul Willemse debut is to run the rule over the Montpellier player and see if he complements Vahaamahina who has struggled for second row partners in recent games. I am not sure if Willemse is the answer; his performances in European Cup action have been a mixed bag. 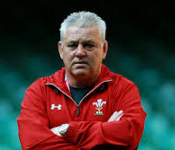 The jury is out on that selection truth be told and is an area where Wales could completely exploit. The pack is beefy to say the least with the decision to include the likes of Atonio and Poirot in the ranks. The back row looks abrasive with the guile of Iturria at the breakdown and the ball carrying of Picamoles and Lauret who has played well in a strong Racing 92 outfit this term. The half back pairing looks well balanced. Parra and Lopez will orchestrate the kicking game. It will be interesting to see if the half back pairing can evolve and launch their three quarters more than previously seen in recent fixtures. Ntamack demands quick ball to use his fast movement to create gain line breaks. I do like this selection from Warren Gatland. He has rewarded players on form with the half back pairing. Tomos Williams gets the nod ahead of Gareth Davies, the scrum half has been excellent this season. Gareth Anscombe when I have seen the player this season has been impressive for Cardiff Blues and Wales. It is an exciting half back pairing and their quick game management should create space for Parkes and Davies in the three quarters to exploit inexperience in the French three quarter partnership. The pack named has a solid, consistent look to it. The front row of Evans, Owens and Francis will provide a solid scrum set piece, fancy them to turn the screw on the French front row in the second quarter. The second row contains the mercurial leader that is Alyn Wyn-Jones and Adam Beard who has impressed this season. The back row of Navidi and Tipuric at the breakdown should edge this facet of play. Ross Moriarty’s lack of game time is a question mark but if fit will be his abrasive best with ball carries, tackle count and defensive work. The back line has an exciting look to it. Josh Adams and George North pace on the wings. Liam Williams coming into the line will provide additional headaches for France in the back three defensive channels. Davies and Parkes at three quarters; complement each other well. Their ability to create with ball in hand coupled with an excellent kick game if required to manage a game time scenario will ease the pressure on Anscombe and Williams. As I have said in previous blogs in recent weeks, this Welsh side is well setup to win this tournament. Their unbeaten record to this fixture will only inspire confidence in the ranks. The side looks more solid, more cohesive than a French side whose selection remains up in the air. I am wondering if Brunel knows what his best side is? A loss here and France are in complete free fall. Wales’ bench looks stronger on paper. The sight of Biggar and Davies at half back to close out the contest in the final quarter is enough for me. The rest of the bench will provide the required impact. France’s squad bench individually looks the part but there is a lack of cohesion here on the selection. Demba Bamba should be starting this test match but is not. France could shock everyone (including yours truly and themselves) but this is a fixture which Wales need to provide a statement of intent early. A cohesive performance is expected from Wales. Wales for me win this fixture by seven points. This entry was posted in rugby and tagged france, rugby, wales. Bookmark the permalink.